With care customized to suit your dog’s needs, our Dalton dog boarding facility is perfect for the lovingly cared for pet. We also provide everything your dog will need for a pleasant stay, including bedding, bowls, toys and treats. Individual suites are climate controlled year-round. Our lodging suites are spacious and airy, in a variety of sizes. Each suite is equipped with stainless steel food and water bowls that are sanitized daily. And you can either bring your own bedding, or we can provide bedding—including comfortable Pet Cots raised beds! We are also happy to provide mats with non-skid backing at no extra charge for dogs with special mobility needs. During your dog’s stay with us he or she can be scheduled for up to three individual playtimes. During those outings, our staff interacts with your dog, giving him or her individualized attention and monitoring for any signs of illness. We are especially careful with puppies and geriatric dogs to make certain they are doing well during their stay with us. While offering a fun, safe and interactive experience, we pride ourselves on the cleanliness of our facility. The entire kennel is cleaned every morning. During the day, our experienced staff continually checks the suites and makes sure they remain clean, makes guests’ beds, refreshes water bowls, and places treats (due to allergies – if you bring them from home) to greet the dogs upon their return from playtime. 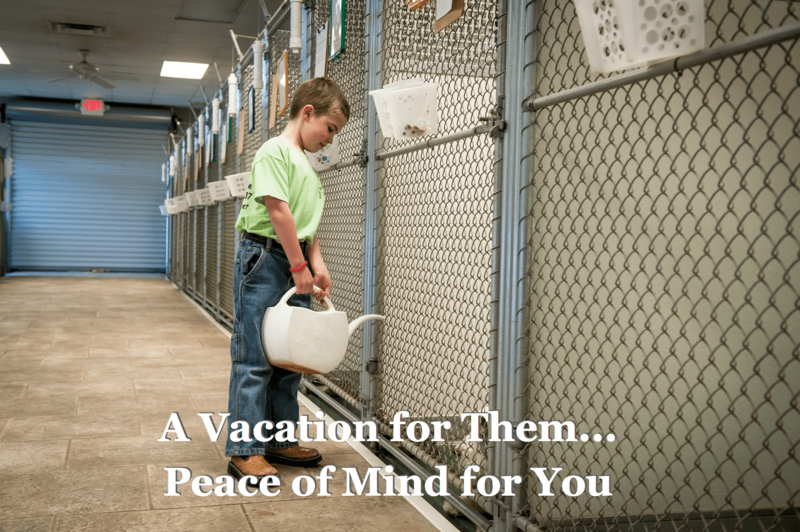 The individual attention, care and love we give to our visitors helps provide the most positive experience your pet can have away from home. Outstanding customer service and a high standard of care continues to bring loyal and longtime customers through our doors.